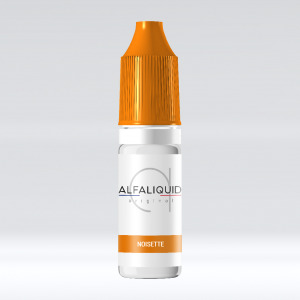 Alfaliquid is the French Brand in reference with material for the Electronic Cigarette. Made in France, the Alfaliquid e liquids have quality fabrication and perfect traceability. Alfaliquid propose a range of flavours adapted for all vapers, beginners to experts, and also for all types of Electronic Cigarettes. Find the famous e liquid Alfaliquid Royal, one of the best seller in Classic. Like the Alfaliquid Royal Classic. But also like the Alfaliquid Strawberry/Blackberrry, the gourmets such as Alfaliquid Candy Cola or Alfaliquid Bubble-Gum! The brand Alfaliquid E-liquid is the one, if not THE French Brand of e-liquid. it is distinguished by quality product and perfect traceability, and especially by precise flavours. It is notably the Alfaliquid Royal e-liquid, a Classic best-seller therefore the success is breathtaking. The brand proposes e liquids with varied flavours, natural, simple and efficient to respond to all the preferences of vapers. You will also break for the Alfaliquid Royal Classic, ideal for beginners in vape, or for a Strawberry/Blackberry Alfaliquid, a mixture of gourmet and freshness. You will principally find fruity aromas with a few surprises which will vibrate your tastebuds which is covered with softness, like the Alfaliquid Candy Cola or Bubblegum for example. Quickly discover the range of french e liquids by Alfaliquid on our website and order now your bottles of Alfaliquid e-liquid Royal Alfaliquid, Classic, Fruity, or Gourmet, delivered in 48hrs.